Two years after taking on the Manager's job, Jim McIntyre agrees an extension to his contract that keeps him at Dunfermline until June 2011. Cash gates will be open on Saturday. 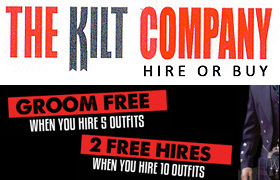 In the last Fife Derby at East End Park referee David Somers red carded Willie Gibson. This Saturday Rovers and David Somers return. Son of Norrie fighting fitness to find a new club. 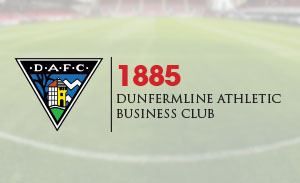 Airdrie United have won only one of the last eight fixtures against Dunfermline. "Happy with a clean sheet but not with failing to pick up the three points which ideally we would have liked. 19/12/09 JM:- "It was in very tricky conditions for the players to put on any great deal of quality football. Dunfermline Autocentre hit the back of the top. 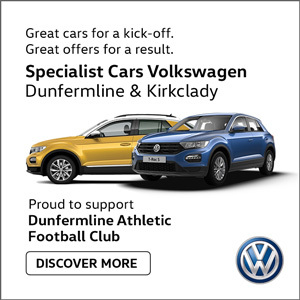 Dunfermline Autocentre based at Halbeath Road Dunfermline have agreed to sponsor the back of the DAFC first team strips for the remainder of the 2009/10 Season. In the last dozen meetings between the teams Dunfermline have won only once, with four drawn and seven lost. "We are disappointed to drop the two points after being in the lead and at home we have to look to go and finish the game off. "They have done well to clear two off the line and we could have stretched the advantage. Having said that we should have made sure that we kept a clean sheet in the second half, that would have won us the game. 12/12/09: JM "We made the chances to kill the game off but we never took them. I am not going to blame Andy Kirk - he had two cleared off the line. Brittain penalty in 8 min made it 1-0 Ross County. Kirk equaliser in 22. Lawson 1-2 in 25. Kirk 2-2 in 35. Gibson Christmas cracker in 41 mins 3-2! Craig 3-3. 11/12/09: "We were letting too many crosses come into the box so we need to get back to doing the basics well and I am confident that they will do that." Dunfermline have won four of their last six league fixtures whereas County have won just two of their last six. "We have been going about our work quietly just sneaking along there, clawing ourselves back up the league but then people started to notice and more becomes expected of you. Paul Willis started for Pars but goals from Hemmings (28) and Hutton (31) meant Rangers lead 2-0 at half time. Campbell made it 3-0 from the spot. 05/12/09: Post match comments from Jim McIntyre and his Ayr United counterpart, Brian Reid. First league game at Somerset Park since April 2000 ends Pars unbeaten run . Stevenson made it 1-0 Ayr (52). 04/12/09: "I don't know anyone who goes to Somerset Park and gets an easy game. They are fighting for their lives and have played really well. "It was not one of our best performances but we showed that we can battle and you don't need to play pretty to win every game. Christmas Crackers in store now!! 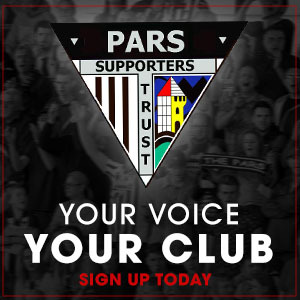 The Press have teamed up with the club to sponsor their highly-rated Pars in the Community coaching programme. The Pars have won nine of the last ten league meetings and it is 16 league games back since Ayr United won. "It was good to get a game since that's just my second game in eight months, hopefully there is better to come because I wasn't happy with it. 01/12/09: They put us under a lot of pressure in the second half and we rode our luck at times, but every team needs that.